Monthly audio poem or short story - or both! In the run-up to the publication in mid-2017 of my new short story and poetry collections (oh my! 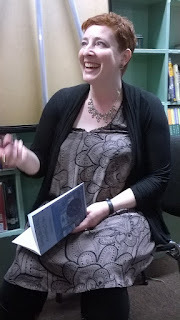 ), I'm going to be making a new recording every month of me reading one of my poems or short stories (sometimes both!). If you'd like to receive these directly into your Inbox, sign up here, and I will be reading to you from January...! I am really excited about co-tutoring on an Arvon 'Starting to Write' course for the first time, in August 2017! The three 5-day residential Arvon writing courses I went on over 10 years were quite literally life-changing, and it is a privilege to now be able to, I hope, pass some of that on. I had a great time tutoring Arvon's first flash fiction course this year, with the inimitable Dave Swann. Next year, why not come and join me and my amazing co-tutor, Jo Bell, a great friend of mine, fantastic poet and teacher, at the wonderful Totleigh Barton in Devon - with our special guest, Inua Ellams, who is hard to describe because what doesn't he do? It doesn't matter what you write or want to write, it's about words in whatever shape they come! We will work hard, but we will also laugh, a lot. And eat clotted cream. It's Devon. Starting to write fiction, poetry or other forms raises questions: Write what? How to write? Why write at all? There are no rules, no simple answers, but during our week together we will write, read, talk and imagine, leaving you with tools to discover how your own peculiar and unique word-machine works, as well as new pieces and ideas to propel you forward. 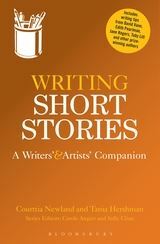 If you're looking for a seasonal gift for the writer - or would-be writer - in your life, you might like a copy of Writing Short Stories: A Writers and Artists Companion (Bloomsbury, 2014), which I co-authored with the excellent Courttia Newland, and which includes short pieces from a number of fantastic short story writers in the middle, ideas for how to get your writing going and lists of our favourite short stories for more inspiration! You can get a signed copy from me here if you'd like (please do let me know in the message to the seller who to sign it to), with free postage in the UK. I am happy to post abroad too! It's been one of the greatest thrills of my writing life, having my short stories read on the radio. This is how it all started for me, my first "published" short story was actually a broadcast, in 2003, on the Afternoon Reading on Radio 4. There have been quite a few more since then, and I have written especially for radio a number of times - and now I have a brand new story on Radio 4 this Sunday night, Aug 28th, which for the first time they have allowed me to read! It's produced by the excellent Jeremy Osborne for Sweet Talk Productions. 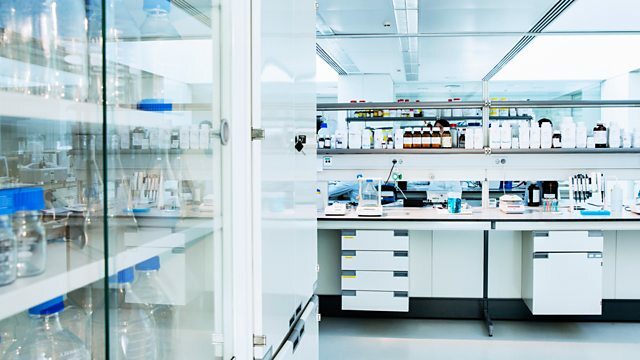 It's called "There's No-One In The Lab But Mice", and you can hear it live at 7.45pm and it will be available on Listen Again for 28 days after that, I believe. I hope you enjoy it, I had a lot of fun writing it! 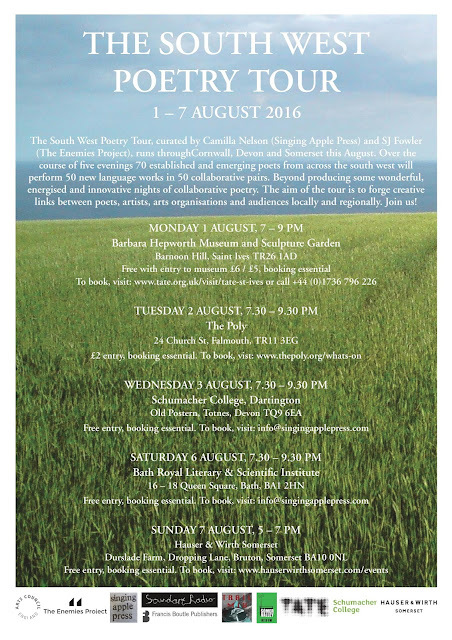 There's this wonderful thing happening, The Enemies Project, where pairs of poets collaborate and then perform, all around the south-west of England, set up by Steven J Fowler and Camilla Nelson. It as an honour and a gift to be so closely read, by anyone, and then to have these readers (often writers themselves) share their thoughts. I'm fortunate to have had this experience twice in the past few weeks, first by Neil Elder, author of the poetry pamphlet Codes of Conduct and my fellow Sabotage Awards shortlistee (congratulations, Neil!) on his blog, Neil Elder Poetry, where he responds to my poem, Life Just Swallows You Up: "I’m laughing, then thinking and feeling, and then admiring. I’ve read ‘Life Just Swallows You Up’ and I immediately want to re-read". The second, also around a poem from my chapbook, is the excellent Proletarian Poetry: Poetry of Working Class Lives. Peter Raynard asked if he could reprint my Conversations With A Taxi Driver, Falmouth, and he talks about what the poem raised for him: "This is a fascinating short poem because it leaves a lot to the imagination, allowing us to drift with our thoughts the same way a taxi driver must do when waiting on their next fare." Thank you, Neil and Peter, I hope I can pass on the favour of such close reading! 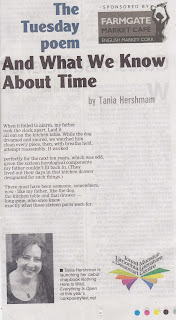 So, it's been a record week for me in terms of publications, with two poems and a flash story published in different places online, which, between them, cover kissing, climbing and aubergines. (see below). It's a wonderful, miraculous thing, being chosen by an editor and put between (virtual or actual) covers. And being able to share the links online is also joyous, especially when friends and strangers choose to get in touch with kind words. But it's also surreal - all the more so in this turbulent year, and in particular in these few weeks of turmoil and uncertainty here in the UK, which haven't ended yet and may not for a long long time. I often find the disconnect between tragedies around the world and good news in my writing life hard to navigate. (As I thought about this blog post I was going to say "tragedies in the real world", but then again, I am a writer, and my writing is real, it is my real world too.) I feel guilty for celebrating these personal things. As I was thinking about this, I realised that when I'm in despair, I turn to books, to poems, to short stories, novels, science writing. They help me. And when I read some of the comments people have made about my writing, I think, I am perhaps adding to that well, and they might be useful for one other person. I don't think my writing is some kind of panacea for the world's ills (apart from to me when I write it), but it's what I have to offer. I'm not particularly good at anything else, so this is what I've got. And I love celebrating other people's publications, so am trying to persuade myself that it's okay to every now and then be the one that other people are celebrating! So, I recently received my first poetry commission - to write a nature poem inspired by a particular location on the Bristol-Bath Nature Trail for the Festival of Nature! I've never written a site-specific poem before, and my first attempt was a little cynical and not so much about nature. Luckily, my second attempt seemed more suitable - and here I am reading it! 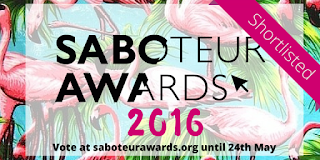 I'm absolutely delighted that my poetry pamphlet has been shortlisted for the fantastic Saboteur Awards, an annual celebration of all things indie - from books and publishers, literary magazines and live events to authors and performers - in the UK! It operates by public vote and the voting is now open until May 24th so please do pop over there and show some support to your favourite performers, lit mags, publishers etc... The link is here. 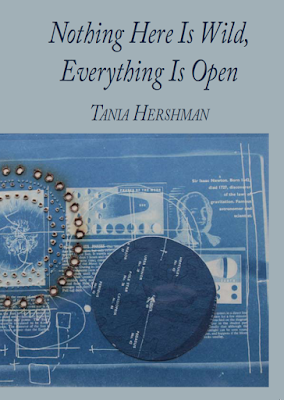 My second collection, My Mother Was An Upright Piano, won 2nd prize in the short story collection category in 2013, which meant an enormous amount to me. Without stopping to think, who are ten poets whose work you would tattoo on your body, or at least your clothing, to take with you at all times? You can read the whole interview here, and find out more about my chapbook, Nothing Here Is Wild, Everything Is Open, here. PH One of the things I find interesting about your work is how you use and approach science. It seems to me that you are at least as interested in the culture of science as you are in pure science. Examples of this include "The White Road" and "Heart." In the former story, you focus on the everyday lives of researchers in Antarctica. In the latter, your character, a heart surgeon, reflects on the experience of seeing a patient's heart stop beating in her hand. 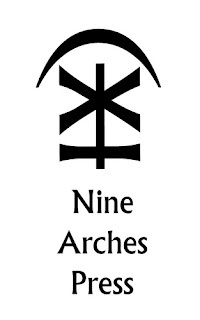 To what degree do you see science a way into the characters you create? Do your stories begin with a scientific inquiry or with a character making a scientific inquiry? 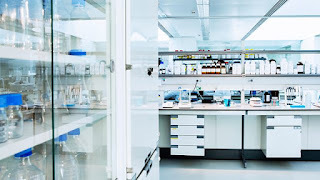 TH: You are right that I am just as interested in the culture of science—in fact, I am interested in every aspect of science, from the methodology and the mindset to daily life in a lab, the creativity of experiment design, and the wondrous and often bizarre vocabularies, which I love to plunder! As to what comes first, it's really hard to say. I immerse myself in science all the time, I read New Scientist every week, actively opening my mind to ideas which I could use as springboards into stories or poems. Stories begin with a character or, more specifically, a voice, which may be the main character or a narrator. It's that voice talking to me that generally gets me going. Poetry begins differently, with a phrase, with certain words. What I actively do now is collide two ideas together, very often a scientific one with something else I have been thinking about, and see what results. I have been known to read two things at the same time—say, a New Scientist article and an article on something entirely different in another magazine—just to mess with my head and produce something new. Messing with my own head is an intrinsic part of my process! Debut poetry collection coming 2017! I am extremely and inordinately thrilled to be able to tell you that - hot on the heels of my debut poetry chapbook of 22 poems - my debut full poetry collection, This Is Not My Midnight, will be published in July 2017 by the fabulous Nine Arches Press! I can't quite believe this is happening, with poetry, oh my. And with such a fantastic press, run by Jane Commane, whose taste in poets and dedication to poetry - her own authors and the wider community - I admire so much. 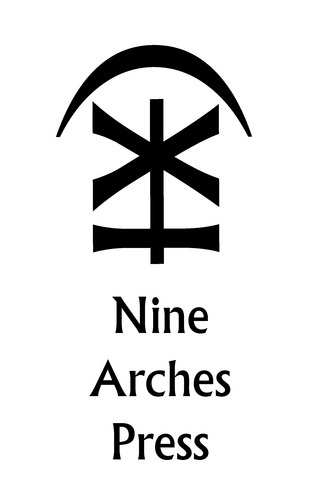 Nine Arches publishes some of my favourite, favourite poets, not least of all my great friend Jo Bell as well as Isobel Dixon, Mario Petrucci, Maria Taylor, David Clarke, Abegail Morley, and, next year, Rishi Dastidar and Angela Readman. I can't tell you much more now, will keep you updated! What this got me thinking about was how worried I was, when I first began writing short stories, about who I was telling the story to. Surely there had to be someone who was being told, within the story? I couldn't get my head around the concept of it at all. And perhaps this is what was happening with Mary Shelley and Emily Bronte? Although it works, for me anyway, so much better in Wuthering Heights that perhaps this was Bronte's conscious choice, to have a single narrator, and everything filtered through/seen by her - because, frankly, had we been any closer to any of the main characters, this reader might have exploded! We still do have to suspend disbelief here - our suspicion that Nelly could never have remembered all these conversations in such minute detail (as well as the odd occasion where she seems to know what someone else was actually thinking)! What I think helped me a great deal was that my first short story acceptance was not a print publication but was for radio - Radio 4's Afternoon Reading, in 2004. The story wasn't written to be broadcast, but when I heard the wonderful Lorelei King reading it, I felt like my character had moved outside of my own head, that she existed in the world, that she herself was speaking, rather than me writing her. Does that make sense? I cried. It seemed so preposterous, so miraculous, that I should have made her and then there she was. That was the beginning of a beautiful relationship with radio - which widened from Radio 4 to Radio 3 and even dipped recently towards poetry - and that has definitely influenced everything I write. I read it all out loud, and I think that I am my First Reader, the first person the story is being told to. I tell it to myself, literally, as I am writing it. So that question isn't relevant any more. 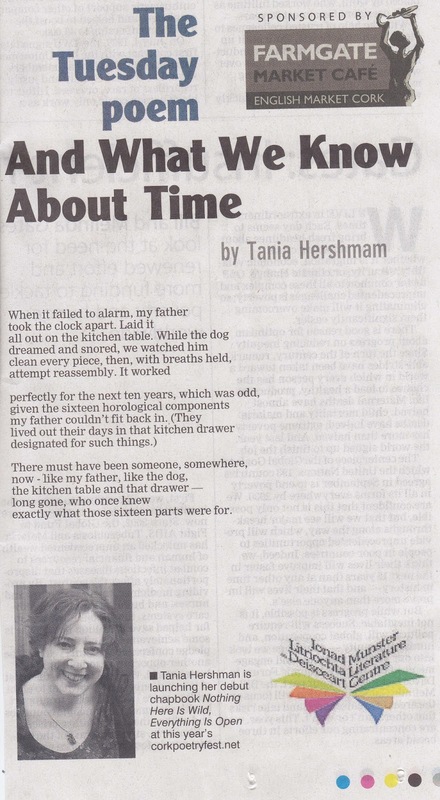 Of course, as my short stories began to find homes, in print and online, this emboldened me, to experiment, to play, and gave me the joyous sense that I was being read - by strangers - and that I also wanted to entertain these people who are so generous as to even get as far as my first line. But that said - I don't believe that I think as I write, "What will a reader/listener think of this?" Or, actually, "Will the reader understand this? ", which is more relevant to the kinds of weird fictions I write. I just wrote a short story for Radio 4 - it has been a long time since I've written fiction, I've been mainly writing poems, which are completely different for me - and I wrote it in the first person plural, the "we", which I love. What am I trying to say? I'm not sure. If you think you might know, please do comment below! Do you feel like you need to know who you are writing to when you write? Have you read work that unsettled you because of this? I suspect part of learning to love to read is learning to suspend disbelief that the book you are reading was not in fact written for you and you alone, is not talking directly to you. I'm not sure I could read in any other way; while I read I dissolve myself into it, especially the short stories I love, I become part of that wondrous thing that happens between text and reader, where something new is created each time. I guess what I am trying to say in terms of writing is: Trust that this will happen, trust your readers and leave space for them. Frankenstein left no space for me, and as a consequence, I didn't enjoy it, didn't feel it. Wuthering Heights had me gripping my Kindle so tightly my knuckles went white. I'd rather that white-knuckle reading anytime, although my blood pressure may not agree! 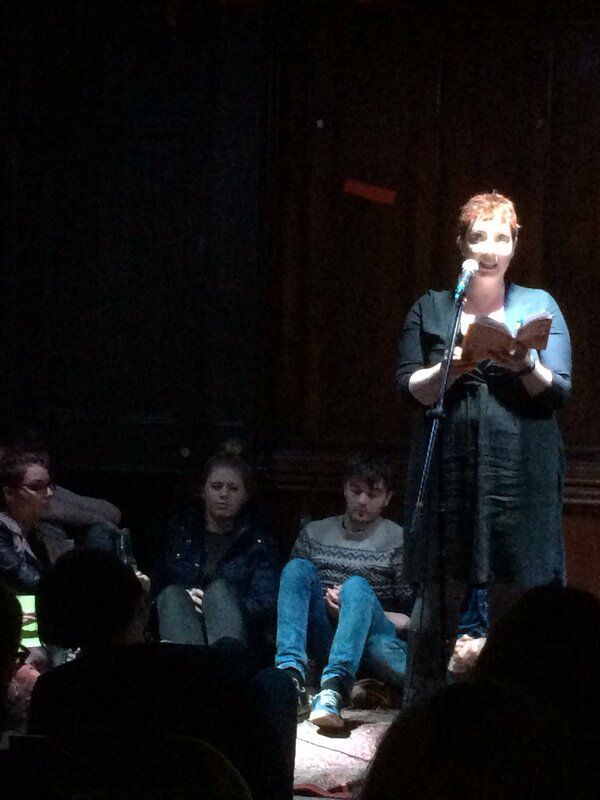 I had a wonderful week last week, with 2 visits to Manchester - first to read at the amazing Poets and Players science-themed event, with Jemma Borg and David Morley! Video will be available soon. After the event, Rob Cutforth whisked me and Jo Bell off to a cafe to interview us for his End of All Things podcast. This is the result (the interview begins about 8 minutes in) and involves much giggling, some talk of Ovid, and, perhaps, bits of usefulness about writing, I will leave that to you to judge! Then, after a trip to London to talk to a very enthusiastic and delightful group of students and staff at South Bank University, back to Manchester to "headline" (what a nice word) at Bad Language, the live lit event I have been eyeing jealously on Twitter each month, wishing I was nearer. So, a very active week for me, from which I am now recovering, as we introverts need to. 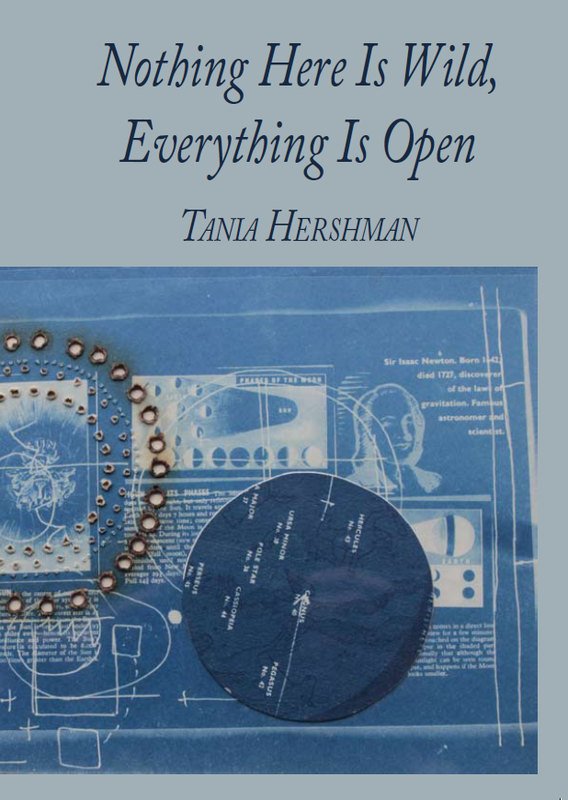 But so lovely that copies of my poetry chapbook are now out in the world, many ordered through my website and posted by me and others bought at the above events. I've had some wonderful responses already, each one unexpected, some by people I don't know and am probably not related to. Joyous, it is! 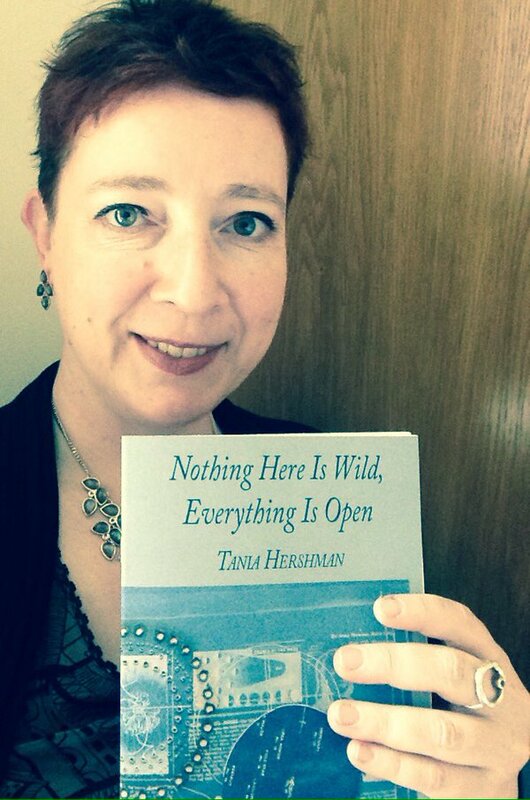 After the most wonderful launch on Friday Feb 12th at the Cork International Poetry Festival - together with Victor Tapner, whose chapbook won 1st prize in the Fool For Poetry competition in which I scooped 2nd prize - I'm delighted to announce that my debut poetry chapbook, Nothing Here Is Wild, Everything Is Open, is published! Yup, seems I can't deny being a poet any longer, though to reassure all you fiction writers, my adoration for prose is undiminished - let's just say, the love affair with words continues. I really never thought things would take this turn, I feel very lucky and immensely grateful! The book will shortly be available to buy from the publishers, The Munster Literature Centre's Southword Editions - but if you'd like a (signed) copy, wherever you are in the world, you can buy direct from me - all the information is here, including a sample poem! How has the editing process informed your own work? What an interesting question! First, I have to say that it’s far easier to spot things in someone else’s work than it is in your own. What I do when I offer suggestions on someone else’s story is to remember to come at it from within what the writer wants to do, not how I would write that story. What influence do you think doing a PhD has had on your writing? 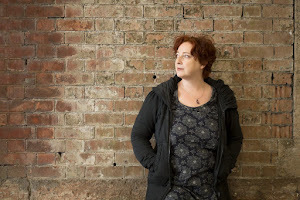 As a short story writer – and now also a poet – while I loved what I was doing, no-one was really waiting for me to do anything, by which I mean, I imposed my own deadlines, motivated myself. I didn’t have an agent chivvying me, for example. So the main reason for me to undertake a PhD in Creative Writing was to have a framework, to get gently yet firmly chivvied! You may discover that I disagree with myself in these interviews - any thoughts on your own writing processes, what competitions mean to you? Please do share in the comments!